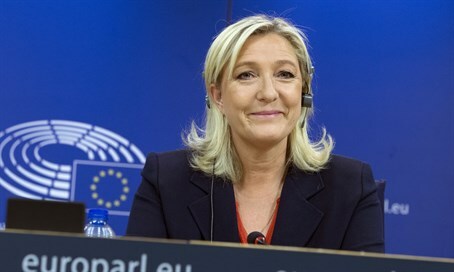 Marine Le Pen's National Front ahead in polls; French Jewish MP unsettled by reactionist vote. The far-right may have made great gains in the first round of French regional elections, polls reveal Sunday night, with Marine Le Pen's National Front (FN) party leading with 30.8% of the vote nationwide. Former President Nicolas Sarkozy's Republican party received 27.2% support, and President Francois Holland's Socialist party received 22.7% support. The second round of local elections will be held next Sunday. French Jewish MP Meir Habib reacted to the results Sunday night, noting that Le Pen may have won due to uncertainty in the wake of the Islamic State (ISIS) attacks on Paris last month and the lack of "real answers" over "pressing issues such as economics, stagnation, handling immigration, and handling terrorism." "Unfortunately, despite the unprecedented number of terrorist attacks that have struck French soil one by one, the Hollande government responds too slowly and is too tolerant toward Jihad," Habib fired. "Add to that weak immigration policy and a weak economy and the people will support satellite parties during elections." Habib advocated French Jews aiming for moderate parties. "I want to believe that Le Pen voters voted today in protest, not in solidarity with the principles of the National Front," Habib said. "There's only one week left for the old parties to wake up and give a real answer to the French people." "We cannot let extremist parties be an alternative for the French public," he added.